Just released home buyer’s data suggests tough times for limited services brokers and for sale by owners. 94% of home buyers used a real estate agent in the home buying process. Those same buyers also used the Internet as a tool to find their home 94% of the time as well. Limited Service brokers are brokers who provide limited services to sellers to sell their home, presumably for a reduced fee. This is not what the typical home buyer is looking for. If anything, they require increased services. They become frustrated at people who cannot answer their questions; all their questions. The typical home buyer searches for 10 weeks before making their purchase. This is a big reason why buyers shy away from For Sale by Owners and limited service brokers. When they stumble upon a home, they’re not ready to decide for a while. And when they do become ready, they want someone to help them with all the details. Your job is not to find the buyer their home. In fact, even though buyers predominantly use real estate agents to purchase their home, only 40% found the home they bought from the agent. 51% of buyers want help in selecting the “Right” home. Buyers love to search on their own. They do so on average 3 weeks before contacting an agent. Even then they love searching on their own, but they get overwhelmed with all the choices. They don’t necessarily need an agent to find the home. They need help selecting the best home amongst the choices. Sure, buyers love websites like www.LeeCountyOnline.com that gives them a competitive advantage over other websites. However, being notified of that hot new listing before anybody else, or that property that came back on the market, or a recent price change won’t help until they’re ready. This is when an agent shines, and this is what buyers look for. They want someone that will be with them those next 7 weeks while they search, and the weeks after that to help them close. They want an agent who has a great reputation, is trustworthy, and knows the market, in that order. This report from Florida Realtors is 198 pages and is filled with every imaginable demographic, statistic, chart, and insight you can think of. It truly helps real estate agents determine what buyers are looking for and how they go about finding and purchasing it. The report also covers sellers and what they look for in an agent. If you’re a seller and not sure you’re asking all the right questions, or covering all the right angles, we’d be happy to show you this report. Did you know only 19% of home sellers use their previous agent? 64% of home sellers contacted 1 agent to sell their home, while 20% contacted 2, and 10% contacted 3. Page 194 has some particularly shocking information regarding how sellers perceived their home was marketed. It’s shocking to us because the agent either did more than the seller realized, or they didn’t market to the standards that we do on the Ellis Team. If you’re thinking of selling, please call Brett or Sande Ellis at 239-489-4042. 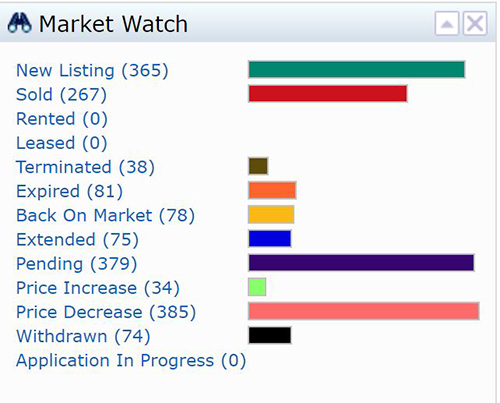 If you’re looking to purchase, our team can help, and we definitely provide what buyers are looking for in this report. Or feel free to search our website www.LeeCountyOnline.com We know you may not be ready today, and that’s OK. It’s a process. We’re here when you need us, and our website is here 24/7 even when you don’t. Can you believe it’s 2017 and we still receive phone calls from people who say “I want to buy a foreclosure in Southwest Florida?” It’s true. Short sales too. Who wouldn’t want a bargain, especially when prices have risen so much from the bottom of the market back in the housing crisis? People also watch those TV shows and see how others flip houses for unbelievable profit with little to no work. Other TV shows illustrate how buyers can buy a property, put some sweat equity into it, and flip for amazing profits. Southwest Florida isn’t that market. In September there were exactly 2 short sales and 13 foreclosure sales in Lee County. As we know Hurricane Irma slowed down sales, so we went back to August and found there were 8 short sales and 41 foreclosure sales. Short sales and foreclosures combined came to about 4% of the total sales in Lee County in August, and about 2% in September. There just are not many short sale and foreclosure listings out there. We get it, everybody wants a deal. However, the thing people need to know is when a bank agrees to take less to allow a short sale, they still do an appraisal. They may consider taking less if the owner is a default risk and the property’s value is truly below market value. What they will not do is give the property away just so a new buyer can keep the equity. If a bank is going to take a loss, they want to minimize the loss. When a bank sells a foreclosure, they typically want as much money as the market will allow for the property in its present condition. The banks often even spent money to fix up homes to increase their value. There are good values in Lee County, you just need to know how to find them. Wasting time searching for 2% of the market will leave buyers frustrated. It all depends on your definition of a good value. Homes priced at or near fair market value are a good value. Homes priced well over are not and will probably not sell unless the seller makes changes. There are two ways to find value. First is pick a website that has all the listings and is updated instantly. Our website www.LeeCountyOnline.com has all the listings and it’s updated every minute. So when a Realtor inputs a new listing, or makes a price change, our database will know about it and display the new information. In a race to beat out other buyers to the best listings, speed wins. Having perfect knowledge of the market back in 2007 will not help you buy a house today. And having day old MLS data from yesterday will not help you either. Secondly, you need an agent on your side that understands the market. Agents with experience know how hurricanes, interest rates, new schools, company headquarters, new roads, hospitals, etc. affect the market. Numbers are great, but having an expert helping you can make all the difference. The Ellis Team has been around for 30+ years in Southwest Florida. We’ve done thousands of transactions, and some people think we’ve seen everything. We haven’t, as we see new things all the time that still amaze us. What hasn’t changed is people. People still want the same things for their family today. They still use the same negotiating tactics. They may have different tools, but the tactics are the same. We can help you navigate the maze of real estate. From selecting the property, to negotiating, to inspections, and closing, we help coordinate it for you. You don’t have to worry as we handle the process. If not the Ellis Team, make sure you’re working with an experienced team who will be there for you. It’s all fun and games until somebody gets poked in the eye, then the name calling begins. We’ll help you avoid all that. Always Call the Ellis Team at Keller Williams Realty 239-489-4042. Posted in Cape Coral, Cape Coral Real Estate, Fort Myers, Fort Myers Beach, Fort Myers Real Estate, Gated Community, Golf Course Property, Open House, Reflection Lakes, Southwest Florida Real Estate, Waterfront Homes.